Open a folder that contains a Python file. Right-click on any Python file. Next to the section that says “Opens with”, click the Change button. You may need to select More Apps. Click on Look for another app on this PC. Navigate to where you installed Python. For me, that’s the Python35 folder on the C drive. Click OK to close out of Properties. 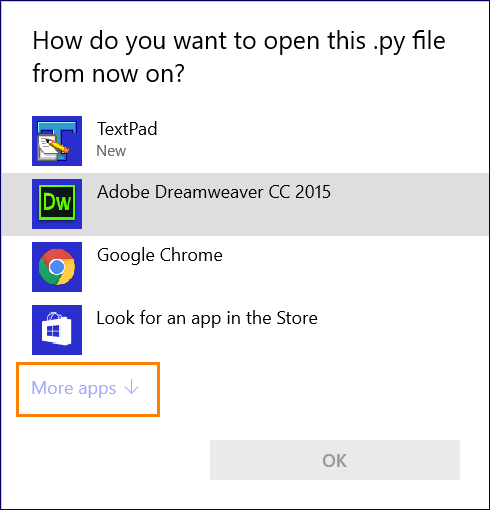 Now you can open .py files in IDLE simply by double-clicking on them.